Hilton Head Island’s wine and food enthusiasts greet the Island’s popular spring season every March with a week-long celebration to embrace the fruits of global wine partnerships, signature Lowcountry cuisine, grassroots cultural happenings and the authentic fabric of a unique community. What unfolds is an inspiring series of events that draw guests to Hilton Head Island from not only across the country, but even from far corners of the globe. 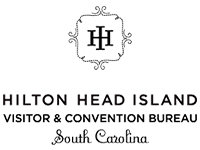 Join us as we celebrate our 34th anniversary of this annual Hilton Head Island rite of passage at The Sea Pines Resort. Experience for yourself this year’s new schedule of events including spectacular celebrity chef showcases, intriguing wine education sessions, live entertainment and of course the famed Grand and Public Tasting events. Join us for the 2019 Kick-off event, A Tribute to New Orleans Cooking Class, at The Bluffton Room. Chef Jeff Condon will demonstrate his excellent cooking skills as you sip on Ste. Michelle sparkling and other amazing wines. Grab your glass and “Sip and Stroll” your way through the variety shops that line the famous Harbour Town Yacht Basin. You will be treated to great wines and also enjoy discounts at participating shops, all while taking in the beautiful atmosphere. Join us for the inaugural Stay Gold: A Lowcountry Wine, Music and Food experience. Stay Gold will take place at sunset along the beautiful marina in Harbourtown at Sea Pines. It will feature Double Gold wines from our international Judging competition and delicious Lowcountry foods. Guests will be entertained with live music by Mike Kavanaugh. This traditional tasting is the festival’s most exclusive celebration, featuring award winning wines, an array of light hors d’oeuvres and music from Candice Rae and Ed Morgret. We will be hosting this event through out the Harbour Town clubhouse, a truly fantastic setting for some truly fantastic wines. Join us for the festival’s largest event as we celebrate our 34th anniversary at the Harbour Town Yacht Basin. There will be 250+ wines from all over the world for the Public Tasting. In addition, see chefs in action at the Sysco Outdoor Gourmet Challenge, enjoy live entertainment and watch the fun and excitement of the waiter’s race. Also, do not forget to bid on award winning wines at the Silent Auction where the proceeds support the John & Valerie Curry Scholarship Fund. Enjoy the full festival experience when you book your stay with one of the two featured accommodations partners: The Inn & Club at Harbour Town and Sonesta Resort Hilton Head Island. 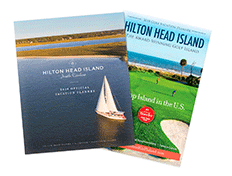 Or, enjoy the charm and warmth of one of the finest hotels in Hilton Head South Carolina. Nestled along the coast with stunning 360º views and lush landscapes as far as the eye can see, our award-winning Sonesta Resort Hilton Head Island is a premier destination for getaways, gatherings or business.